As we enter the new year and approach Martin Luther King weekend there could be no better time to rededicate ourselves to work for the dream that Dr. Martin Luther King fought and died for. Today Dr. King's legacy is under attack by an administration that wants to roll back the clock and reverse many of the gains that were won by the civil rights movement and other struggles that were inspired by it. Indeed in 2019 "the time is now" for a year of important social struggles that will help shape the future of our nation for years to come. Today, in America under the racist Trump administration now is the time is to fight for our rights with the tenacity and dedication like Dr. King and freedom riders had in the 60's. 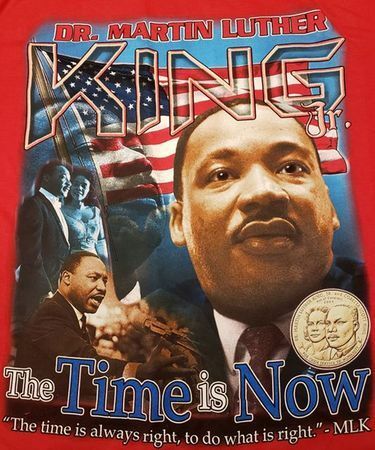 This month's MLK day's activities should start off the year in a positive way by being not only a celebration but a rededication to the continuing struggle to achieve MLK's dream of a world of peace and justice free of the scourge of racism. 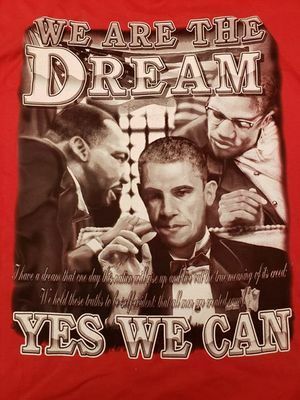 We would like to invite you to take a step forward in contributing to the struggle by purchasing and wearing throughout the year one of our t-shirts reaffirming Martin Luther King's legacy of the struggle for justice. All of the proceeds from these sales will be donated to grassroots organizing efforts to fight racism and to work for social justice.